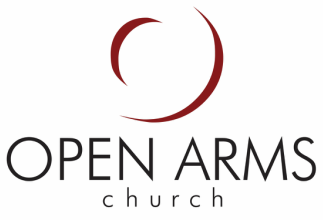 ﻿﻿ Open Arms Church came alongside Hope of Life in 2012. For over 30 years Hope of Life has been a lighthouse of hope for thousands of people who struggle with severe poverty in the mountain regions of Guatemala. The main focus of this mission is to rescue starving children, on the brink of death, and bring them back to a healthy state. If these children are found to be orphans, Hope of Life takes them on as their own children, raising them and providing a Christ centered Christian education. In addition this mission provides a number of benefits to the needy such as: a nursing home for the elderly who have been abandoned by their families; a hospital for medical assistance to the poor; and feeding programs for the impoverished. b. Send completed application to Jamie Suriano by no later than 11/10 (mail to: 109 Dahlia St, Schenectady, NY 12306). You will also need to submit signed releases, a photocopy of your passport, and the initial trip deposit ($200) by that deadline. The trip leader(s) will be in touch with you regarding meeting dates, future deadlines, etc. ; please be attentive to those! Final trip balances are typically due by mid-December. ​Please contact Pastor Kevin or Pastor Josh with any questions!